Does Caffeine Hinder Vitamin Absorption? Both vitamins and minerals are extremely important for your overall growth and development. Your body absorbs vitamins and minerals from the bloodstream, but many things can hinder this process and lead to nutritional deficiencies. Many people cannot imagine starting their day without a cup of coffee – they just love their caffeine. However, they should know how caffeine works. Willit affect vitamin absorption? Should you limit your intake of caffeine? Let's find the answers to these questions. Does Caffeine Affect Vitamin Absorption? Calcium: Consuming too much of caffeine would make you excrete calcium through urine. Your body loses about 5mg of calcium when you drink a cup of coffee or consume about 150mg of caffeine. The effect can take place even several hours of ingesting caffeine. Studies have also found that postmenopausal women lose more bone in the spine when they drink 300mg of caffeine a day as compared to those who consume less. Moreover, caffeine can also affect the way your body absorbs calcium through the intestinal tract, which increases your risk of hip fractures and other injuries. Vitamin D: Ingesting caffeine in your body can inhibit vitamin D receptors, which can interfere with the way your body absorbs it. Vitamin D plays an important role in the absorption of calcium, which is why you will have a low bone mineral density when you have a vitamin D deficiency. This also increases your risk of osteoporosis. Iron: Caffeine can also affect the way your body absorbs and uses iron. Without enough iron, your body cannot produce enough red blood cells. If you drink caffeine at the time of consuming an iron food, it can lower iron absorption by 80%. Therefore, you should never drink a caffeinated beverage when you are consuming an iron-rich food or supplement. B-Vitamins: B-vitamins are basically water-soluble vitamins, which means you will lose a large amount of these vitamins through frequent urination, which is a common problem associated with caffeine intake. 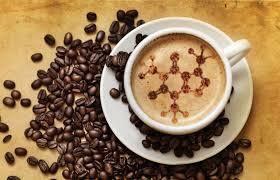 Moreover, caffeine can also affect the metabolism of thiamine (vitamin B1) and many other vitamins. It is worth mentioning that caffeine may actually help improve the absorption of B12 because it increases production of stomach acid. Other Vitamins and Minerals: Caffeine may also reduce the absorption of zinc, manganese, and copper. By excreting potassium, magnesium, phosphate, and sodium, it can also lead to a mineral deficiency. Where Is Caffeine Found in Your Diet? Many people think that they get caffeine only from caffeinated teas and coffees, but the truth is that you will still find caffeine in decaffeinated tea and coffee. You will also find caffeine in cocoa, chocolate, sodas, and energy drinks. Some people include caffeine in their diet just to deal with their headaches. Similarly, some pain relievers also contain a powdered form of caffeine called caffeine anhydrous. Many supplements also provide you with a high dose of caffeine. It is worth pointing out that having a cup of coffee a day should not cause any serious problems, but you should avoid drinking too much to avoid having a nutrient deficiency. Does caffeine affect vitamin absorption? The answer is yes. However, you can lower your risk of developing complications by keeping certain things in mind. For instance, it is a good idea to add plenty of milk to your coffee to ensure that it does not lower your calcium levels. You should also increase your intake of milk to get more calcium. Similarly, it is a good idea to consume caffeine between meals. Ingesting caffeine right before or after your meals can interfere with the absorption of certain nutrients. Moreover, it is important to limit your intake of soft drinks, chocolates, and other sources of caffeine. 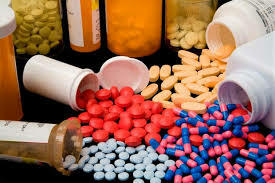 If you take certain prescription drugs, it may have a negative effect on the absorption of vitamins and minerals. This is especially true if you take acid-blocking medications because it will make it difficult to absorb vitamin B12. You may develop neurological problems if you have vitamin-B12 deficiency. Similarly, laxatives can reduce the absorption of certain minerals and vitamins. Diuretics, oral contraceptives, and drugs used to lower cholesterol may also affect the absorption of vitamins and minerals. As you get older, your body finds it difficult to absorb minerals and vitamins. It could be the result of a slow metabolism, but it can also happen due to gastrointestinal changes. For instance, the production of stomach acid comes down with age and this can make it difficult to absorb vitamin B12 and other minerals. A glass of wine may help improve your cardiovascular health, but going overboard can cause inflammation and other complications. It can also lower absorption of certain minerals and vitamins. 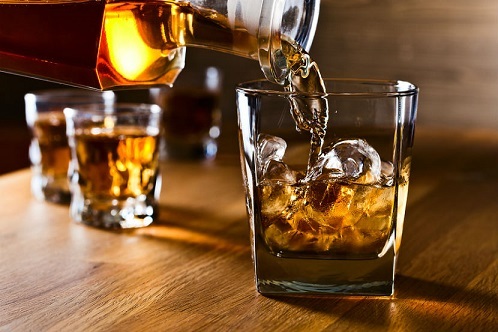 Alcohol can affect the release of digestive enzymes, which in turn can make it difficult to absorb fat-soluble vitamins. If you drink alcohol, you are at an increased risk of being deficient in magnesium, calcium, zinc, and iron. If you are under stress, it can also affect the way your body metabolizes vitamins and minerals. Stress can also increase nutrient excretion. Your body releases cortisol and other stress hormones, which can alter the absorption of vitamins and minerals, including selenium, zinc, iron, copper, calcium, and B-vitamins.